A company proposing a medical marijuana facility in Chardon is steering away from the city. Mayor Nancy McArthur reported at the March 9 City Council meeting that Willoughby-based GrowthOrchard is pursuing a larger facility than originally intended. Last month, business representative John Sikora presented plans for a 25,000-square-foot marijuana cultivation and processing center at 124 Parker Court southwest of Walmart Supercenter. The property is owned by a GrowthOrchard advisory board member. In a subsequent conversation, Sikora indicated that the company is considering constructing a much larger building. He told me it would most likely be a minimum of 75,000 square feet, McArthur said. Potentially eventually being up to 100,000 to 150,000 square feet. The spot that they were looking at in Chardon would not accommodate a building of that size, so as a result, they will no longer be considering Chardon. GrowthOrchard is eyeing sites in three other communities, including a 5.8-acre parcel in Painesvilles Renaissance Park. Such facilities need to be up and running by September 2018 to meet state law requirements. These establishments were legalized with passage of House Bill 523 in September. 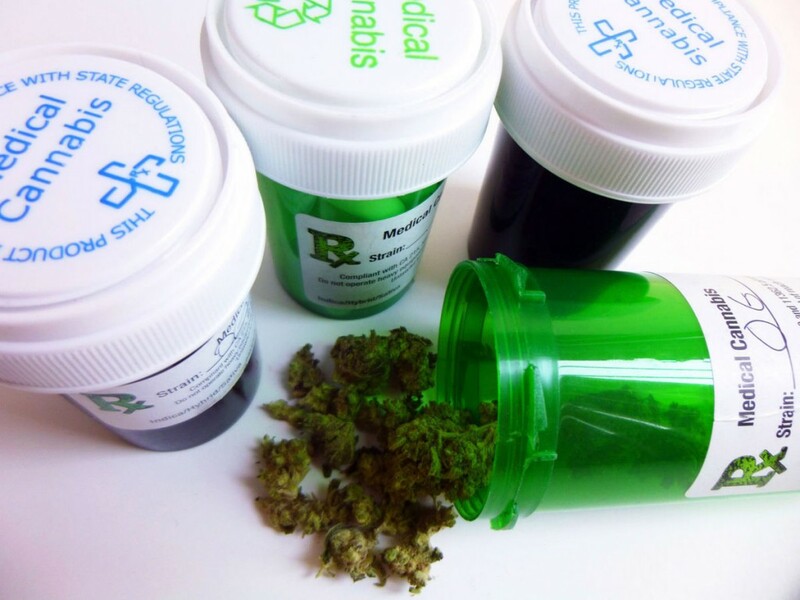 The law provides for medical marijuana treatment of 25 severe conditions, such as cancer, ALS (Lou Gehrigs disease), Crohns, colitis and epilepsy in children. McArthur said the city wouldnt have been able to meet the timeline required for the facility. They said they needed a vote of approval from Planning Commission and City Council by early April, she said. We couldnt meet that deadline or guarantee the vote they sought. Chardon officials are working toward legislation that would prohibit medical marijuana dispensaries in the city. Right now, the state really hasnt even come up with any guidelines or anything, so we dont really know what theyre planning on doing just yet, McArthur said. The state regulations for cultivation will be adopted by May 6, according to the Ohio Medical Marijuana Control Program. Sikora has said that his company isnt interested in operating a dispensary. We dont want to be on the retail side of this, he said Feb. 22. What were looking at is simply growing and processing thats it. The facility is anticipated to eventually employ up to 40 people with pay ranging from $15 to $30 an hour. A medical marijuana cultivating facility is proposed by Buckeye Relief in Eastlake, on the property of the former JFK Community Center, 33505 Curtis Blvd. Mentor and Kirtland leaders have passed laws prohibiting cultivation, processing and/or retail dispensing of medical marijuana in their communities. Painesville was considering a moratorium, but rejected the legislation Feb. 21. Concord, N.H. On Wednesday, the New Hampshire House passed a bill that would decriminalize marijuana possession in the state. Passage into law would take a step toward further nullifying federal cannabis prohibition in practice in the state. Along with 11 bipartisan co-sponsors, Rep. Robert Cushing (D-Hampton) introduced House Bill 640 (HB640) to reduce the penalty for possessing one ounce or less of marijuana to a violation allowing offenders to pay fines by mail will result in less time and resources spent on such cases, allowing police and courts to spend more time and resources dealing with serious crimes. HB640 would take possession of one ounce or less of marijuana or 5 grams or less of hashish from a criminal misdemeanor to a civil infraction punishable by a minimum of $350 for a first offense and $500 for a second or subsequent offense. Any New Hampshire resident possessing more than one ounce of marijuana or more than 5 grams of hashish would be charged with a criminal misdemeanor, rather than a felony. 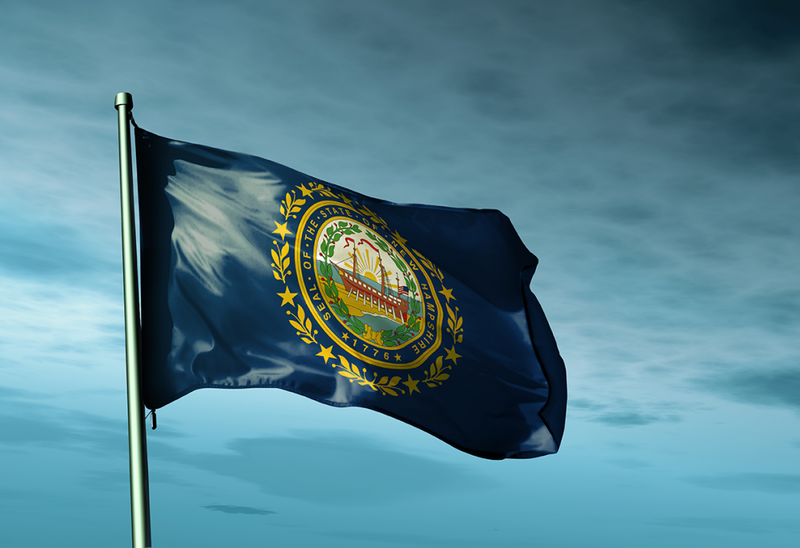 The New Hampshire House voted overwhelmingly to approve HB640 on Mar. 8 by a 318-36 margin. Previously, the House Criminal Justice and Public Safety Committee gave the bill an Ought to Pass recommendation with a 14-2 vote. It will now move to the Senate for consideration. Currently, a criminal penalty accompanying a conviction for first-time possession of a small amount of marijuana can lead to a lifetime of hard consequences, Rep. Cushing said in a Seacoast Online report. These may include denial of student financial aid, housing, employment and professional licenses. The federal Controlled Substances Act (CSA) passed in 1970 prohibits all of this behavior. Of course, the federal government lacks any constitutional authority to ban or regulate marijuana within the borders of a state, despite the opinion of the politically connected lawyers on the Supreme Court. If you doubt this, ask yourself why it took a constitutional amendment to institute federal alcohol prohibition. Legalization of marijuana in New Hampshire would remove a layer of laws prohibiting the possession and use of marijuana, but federal prohibition will remain on the books. FBI statistics show that law enforcement makes approximately 99 of 100 marijuana arrests under state, not federal law. By mostly ending state prohibition, New Hampshire essentially sweeps away most of the basis for 99 percent of marijuana arrests. Furthermore, figures indicate it would take 40 percent of the DEAs yearly-budget just to investigate and raid all of the dispensaries in Los Angeles a single city in a single state. That doesnt include the cost of prosecution. The lesson? 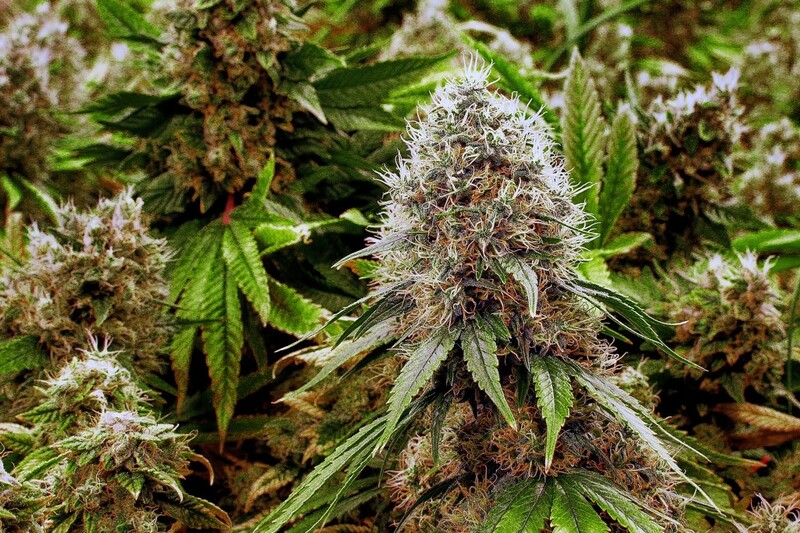 The feds lack the resources to enforce marijuana prohibition without state assistance. New Hampshire could join a growing number of states simply ignoring federal prohibition, and nullifying it in practice. 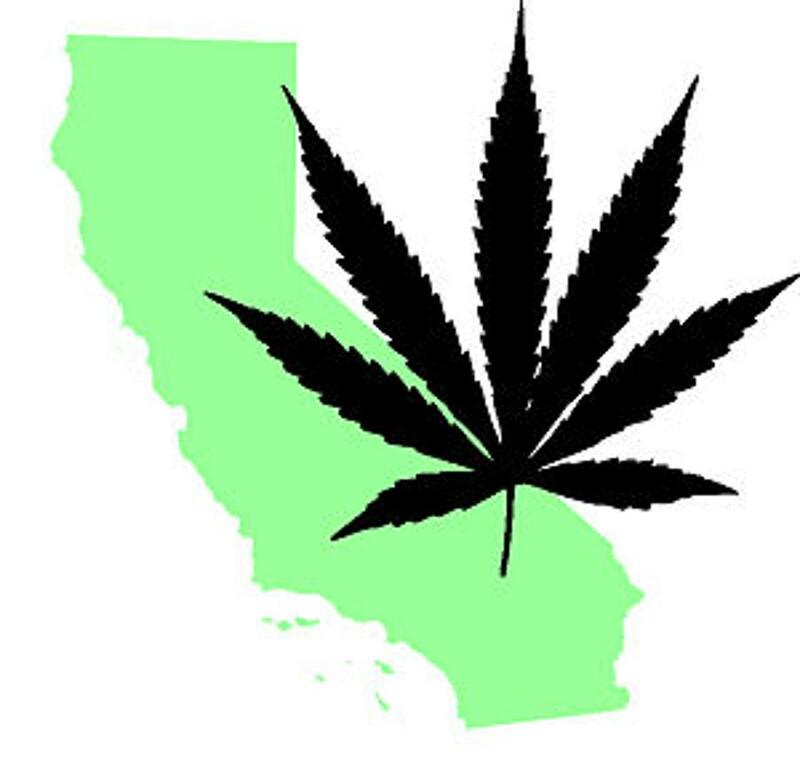 Colorado, Washington state, Oregon and Alaska have already legalized recreational cannabis with California, Nevada, Maine, and Massachusetts set to join them after ballot initiatives in favor of legalization were passed in those states earlier this month. With more than two-dozen states allowing cannabis for medical use as well, the feds find themselves in a position where they simply cant enforce prohibition any more. The lesson here is pretty straight forward. When enough people say, No! to the federal government, and enough states pass laws backing those people up, theres not much the feds can do to shove their so-called laws, regulations or mandates down our throats, Tenth Amendment Center founder and executive director Michael Boldin said. HB640 will move to the Senate for further consideration. 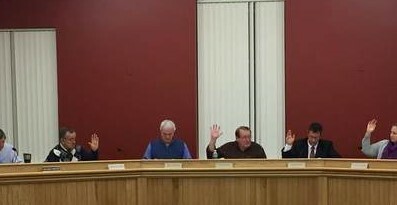 Gray The Town Council voted unanimously Tuesday night to extend Grays moratorium on marijuana retail stores and social clubs, effectively banning those establishments in Gray for at least another six months. The move extends the previous 180-day moratorium put in place by the council last September, which attempted to get ahead of the uncertainty surrounding Question 1 on the November ballot that was narrowly passed by Maine voters. While that successful referendum legalized recreational marijuana in Maine, it also gives municipalities the authority to draft local ordinances that limit or even prohibit all together the number of marijuana businesses that can operate within their town. The text of the new law passed by voters, the Marijuana Legalization Act, says that a municipality may regulate the number of retail marijuana stores and the location and operation of retail marijuana establishments and retail marijuana social clubs and may prohibit the operation of retail marijuana establishments and retail marijuana social clubs within its jurisdiction. Doug Webster, Grays community development director, said its possible that drafting potential town ordinances on this issue could take a major amount of staff and Ordinance Advisory Committee time. Typical ordinance writing involves looking to see what other towns do. We dont really have too many templates to choose from, said Webster. Lets not reinvent the wheel. During the meeting, several council members referenced the uncertainty surrounding marijuana laws at the state and federal levels. State agencies continue to work on implementing the new law with input from a special 17-member legislative committee, and questions are swirling about how the U.S. Department of Justice will approach state marijuana legalization laws under the Trump Administration. Marijuana is still illegal under federal law. Council Chairman Lewis Mancini discussed the reasoning behind the moratorium, and cited the issues at the federal level, and the fact that even the state is taking another look at this and trying to wrap their arms around it. Given those factors, Mancini said the recommendation from town attorney Bill Dale was to extend the initial moratorium for another 180 days. While the council was in agreement on extending the moratorium, there was some debate about how soon the town should dedicate time and effort to drafting potential ordinances. I support the action thats been proposed, but would urge that we not spend a great deal of time perusing it, because this is changing with lightning speed all over the state, all over the region, said Councilor Richard Barter about the ordinance drafting process. And while we want to do due diligence and recognize that this is not just a witch hunt on our part, neither do we want to take time out of other projects that really need staff focus and support. Council Vice Chair Lynn Gallagher, however, said that the town cannot pass another moratorium extension after this one expires in 180 days. I understand the wait and see aspect, but I worry that if we let it lie, that six months is not a long time, and its going to come up quick, said Gallagher. So, I would like to see us start to get working on something sooner rather than later. Webster said after the meeting that the next steps will be to consult further with the town legal counsel, engage the Maine Municipal Association to keep track of what other towns are doing on this issue, and then put together a timeline for action. That timeline would set target dates to make sure there is time to get standards in place before the moratorium expires. Medical marijuana providers, patients and labs that test products told a legislative committee Friday they want regulations and licensing on their industry to show it is legitimate. This is transparency and this is bringing the program out from the shadows, said Kate Cholewa, who represents the Montana Cannabis Industry Association. It is about transparency, it is about safety, it is about containment and being a functional program. Senate Bill 333 is carried by Sen. Mary Caferro, D-Helena, and would require seed-to-sale tracking, licensing of dispensaries, a 2 percent tax on providers to pay for the program and requirements for testing laboratories. It also creates a canopy-based limit for providers and removes the requirement that a parent serve as a minor’s provider. Proponents of the bill filled a small meeting room and overflow space to testify before the Senate Taxation Committee, which did not take immediate action on the bill. No one spoke in opposition. Caferro stressed the tax is to pay for the tracking and licensing system only. It’s expected to generate about $500,000 a year, though the bill does not yet have a fiscal note. Another bill set for a hearing Wednesday also proposes to tax medical marijuana as a part of Gov. Steve Bullocks proposed $123 million in revenue increases. House Bill 529, carried by Rep. Tom Jacobson, D-Great Falls, includes a 6 percent tax on medical marijuana and is expected to bring in $2.6 million over the next two years for general state coffers. Montana voters in November passed an initiative that required licenses and inspections and created licensing fees to administer the program. Under Caferro’s bill, medical marijuana would be tested by labs to ensure quality and safety. With the tracking system, any products deemed unsafe could be easily pulled from circulation, supporters said. Daniel Fuchs, who spoke on behalf of a group called Montanans Ensuring Access to Natural Medicines, told the committee he wants to see regulatory framework and oversight. Its critical for all industries to have guidelines to be held accountable to, to have oversight with regard to public health and safety. Gregory Zuckert, of Whitefish, designs tracking systems that are used in a handful of Western states. He said being able to track cultivation and inventory makes for more successful business and incentives providers to increases their level of professionalism. A tight regulatory regimen with a rigorous inspection component will go a long way toward creating confidence with the public. The bill also clarifies that providers can create marijuana concentrates, which advocates say is used frequently by cancer patients. and require providers live in the state for at least five years prior to applying for a license. That change is meant to reduce what is called a "green rush," when out-of-state providers looking to make a quick profit flood a state. 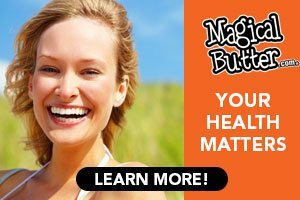 How Can I Get A Previous Marijuana Charge Removed Under California's Prop 64? On November 8, 2016, California voters passed Proposition 64 into law, legalizing the possession, transport, purchase, consumption, and sharing of up to one ounce of marijuana and up to eight grams of marijuana concentrates for adults aged 21 and older. Prop. 64 also reduced or eliminated criminal penalties for most marijuana offenses and made those changes retroactive for individuals who were convicted before Prop. 64 passed. The impact of Prop. 64 on the criminal justice system was immediate. Pending felony charges were reduced to misdemeanors and many individuals held in jail were released, since most had already spent more time in jail awaiting trial than they could be sentenced to under the reduced penalties. People serving sentences in jail or on probation were also impacted when their sentences were reduced. Building on the transformative work of Prop. 47, which passed in 2014, Prop. 64 also allows individuals with prior qualifying marijuana convictions to petition a court to have their convictions reduced or dismissed. In one decade alone, half a million Californians were arrested for marijuana offenses. Meaning that at least tens of thousands of individuals qualify to reduce or remove their sentences under Prop. 64. In an effort to help advocates and applicants change criminal records under Prop. 64, the Drug Policy Alliance recently issued a guide to resentencing and reclassification. Persons currently serving a sentence in prison or county jail, or who are on probation, post-release community supervision, or parole, may petition a court for resentencing. Individuals applying for resentencing are entitled to an attorney and should reach out to their attorney or public defender that represented them in their original case for help. Public defenders around the state are already leading these efforts. Persons who have completed their sentences and are no longer in custody or under supervision, may apply to a court for reclassification. If a person is eligible, meaning they were convicted of a crime changed by Prop. 64, the court must reclassify their conviction. How it would be reclassified—to an infraction, misdemeanor, or outright dismissal—will depend on how the offense was changed by Prop. 64. (See Appendices and A and B of the guide for each specific offense.) In many cases, individuals can complete these applications themselves with the help of this guide, or with the brief assistance of a legal services organization or public defender. There is no time limit by when these applications must be filed. Be sure to check My Prop 64 | Drug Policy Alliance for the latest information on changing criminal records under Prop 64. Full Article: How Can I Get A Previous Marijuana Charge Removed Under California’s Prop 64?